A team roster is handed out at every game throughout the season. 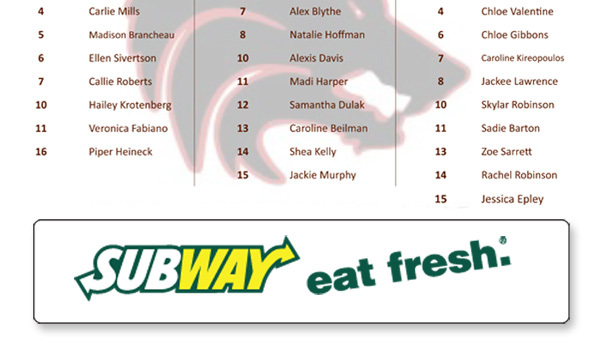 This sponsorship allows you to advertise your business to every game attendee with your choice of a full color banner on the back cover or the interior bottom of the roster. Donate now!